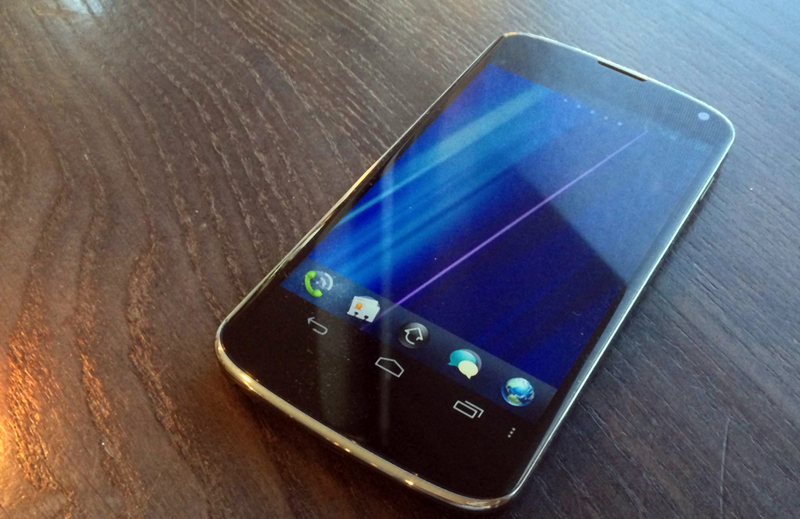 Last month we showed you how - if you want to - to make an iPhone look and behave more like webOS. We know that not everybody's going to stick with webOS through the very thin times ahead, and we don't blame you. For most of us, smartphones are tools. They're tools that we need to function and to keep up with our ever evolving needs. There's no guarantee that webOS is going to do that, with the last official updates well over a year in the past and progress on porting Open webOS to new hardware understandably a slow endeavour. The iPhone is a legitimate contender for switching, but making iOS be more like webOS is a project in and of itself. And while there are benefits to the locked-down nature of the iPhone, those of us that have been homebrewing on webOS for years now might not be comfortable in that arena. But what about our open source Linux-based cousin, Android? Well, that's a mighty bit easier. Turns out, Android actually has a lot in common with webOS right out of the gate. That's in no small part to Google's successful poaching of former webOS design lead Matias Duarte. He brought a lot of his design mojo to Android, implementing a lot of what we've come to love about webOS into Android. But it's different, and that takes some getting used to. Let's start with multitasking. Originally, multitasking on Android was a pain, with varying methods among the manufacturers dealing with how to best expose it. Duarte brought the best practices of webOS to Android and implemented a new take on multitasking cards in Android 3.0 Honeycomb. Whereas webOS multitasking came from a tap on the gesture area and consisted of minimized views of your apps, scrolling side-to-side with a swipe up to close an app, Honeycomb's multitasking came in the form of an on-screen button that opened a vertical list of running apps, ordered by last use with a small preview and a swipe to the sides to close an app. Different access, orientation, and presentation, but almost the same exact concept. The other area of strength for webOS has always been notifications. The bottom-aligned notification area from the start included actionable dashboard items such as music controls. Notifications have also always been individually dismissible, and with webOS 3.0 notification management became even more granular with the ability to triage through multiple notifications for a single app. Notifications on Android haven't always been as good as they are today. In the early days, your only options when notifications started piling up in the top bar of your Android smartphone were to open an app to clear away those notifications, hit the button to clear all of your notifications, or just deal with the clutter. Dealing with the clutter was a recurring theme for the first few years of Android. But with the complete revamp that came with Android 4.0 Ice Cream Sandwich, Android finally gained individually dismissible notifications. And with 4.1 Jelly Bean, those notifications became both interactive and expandable, allowing for implementations of useful stuff like music controls and for replying to texts or emails directly from the notification. 4.2 brought the addition of quick settings access from the notification drawer, where webOS from day one allowed for access to frequent settings with a swipe down in the top right corner. In a lot of ways, notifications in Android now exceed what webOS notifications are capable of. When you get down to it, thanks Duarte's influence on Android, Google's mobile operating system has much more in common on the user interface level with webOS than is immediately obvious. 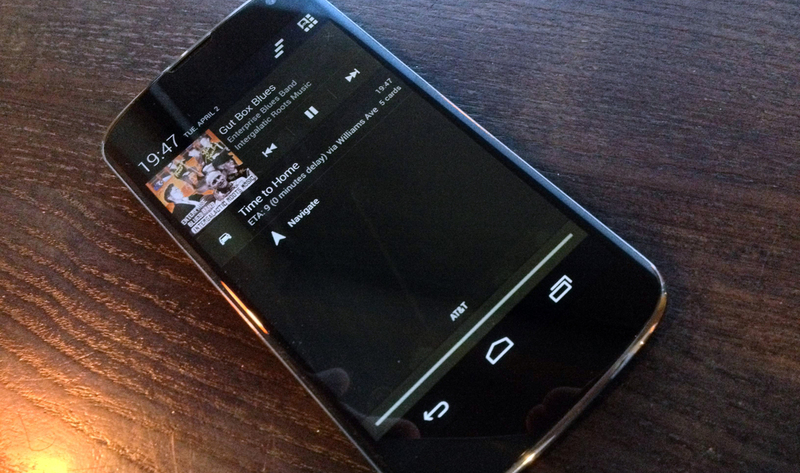 Heck, starting with Android 3.0 the default and preferred controls setup ditched physical buttons altogether. While Android devices might not have the gesture area we so long for, many Android devices have ditched the physical controls in favor of sleeker (and easier to implement) on-screen options. Of course, all of this is talking about devices that are running "vanilla" stock Android like on Google's line of Nexus smartphones and tablets. Third party manufacturers operating without the oversight of Google, however, have been generally free to monkey around with Android to their hearts' content and change the way that things work and look. 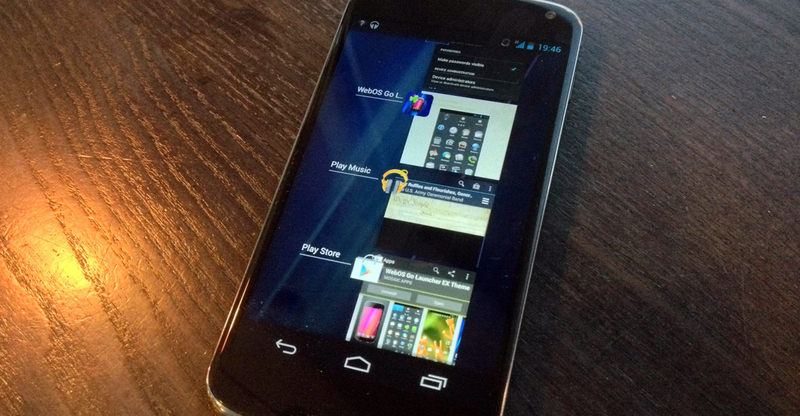 Speaking of changing the way things look, you too can change Android to look more like webOS. You've already got webOS-like notifications and webOS-like multitasking, why not a webOS-like look too? With a $1.39 purchase of the WebOS Go Launcher EX theme for GO Launcher EX (itself a free app), you can make the Android launcher look a whole hell of a lot like webOS from a TouchPad, or pretend you've got Open webOS running on your Android phone. There's not much that can be done for the look of Android apps, which range from modern and flat for Google's own apps to just okay to downright offensively bad for some others. But at least you can make your app launching experience look more webOSy. With Duarte's webOS-inspired multitasking and notifications in place, making Android look more like webOS might be just what you need to ease your transition. Unlike the iPhone, where it's easy to make a recommendation as to which model you should purchase (just buy the iPhone 5, or if you must, wait for the 5S), the options for Android are plentiful. Though the formfactors seem to be converging on the large-screen slate-style smartphone, you still have several quality manufacturers to choose from for a modern flagship Android phone. For the closest vision to Duarte's webOS, you'll want to look at a Nexus device like the Samsung Galaxy Nexus or LG Nexus 4. If you happen to pick up the Galaxy Nexus, even though it's a year old, you can be comfortable knowing that at least it can run Open webOS.